YOUR TARGET IS WAITING! VISIT OUR ARCHERY RANGE NEAR WOODSTOCK TODAY. Just a short drive away from Woodstock, our archery range awaits you. We have 10 lanes waiting for you to draw your bow and nail that bullseye! If you’re looking to try archery for the first time, we offer lessons and rental packages, as well as birthday parties and special events. If you’re ready for some extra practice and a bit of competition, why not join one of our youth or adult archery leagues? We welcome anybody wanting to enjoy the thrill of archery, whether you’re a bow hunter, first-timer or a competitive archer. Visit Triggers and Bows near Woodstock today to join in the excitement. Get your bow and arrow ready and start planning your visit to the archery range at Triggers and Bows! Everybody is welcome to join in the fun at Triggers and Bows. 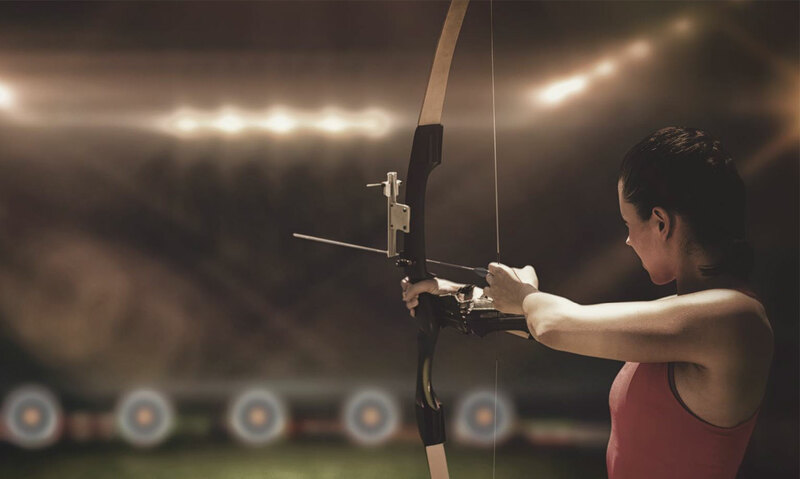 For our experienced archers, we offer lane rentals, leagues and archery range memberships with 24/7 access. If you want to learn how to shoot a bow and arrow, you can sign up for a archery lessons or even a special event to try it out as a group. We also host youth programs and leagues, as well as archery birthday parties to celebrate your special day in a memorable way! Whatever your age or skill level, there’s a way for everybody to take part in the thrill of archery at Triggers and Bows.